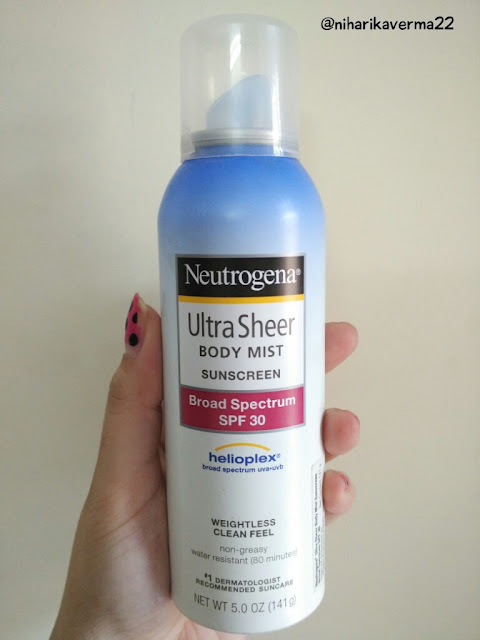 Neutrogena Ultra Sheer Body Mist Sunblock with Helioplex provides superior broad-spectrum protection against skin-aging UVA and burning UVB rays. Enjoy an ultra-light non-greasy formula that applies easily, even on hard-to-reach areas. This product features Helioplex, a breadth of stabilising sunscreen technologies that delivers superior protection from the sun. 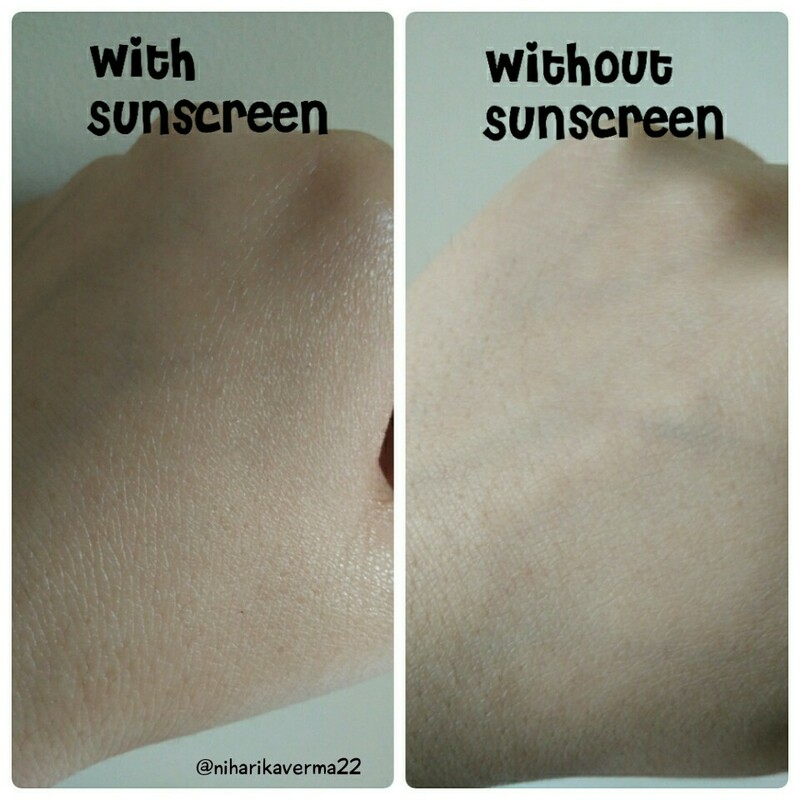 Apply 15-30 minutes before sun exposure. Do not apply in windy conditions. 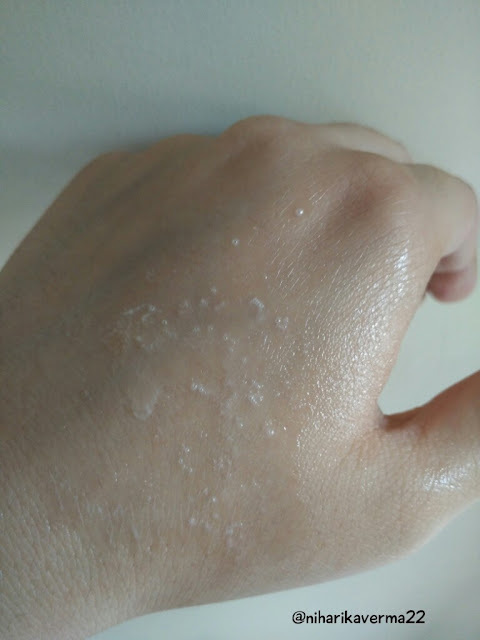 Hold can 4-6 inches away from body and apply liberally, spraying slowly and evenly until product is visible on skin. 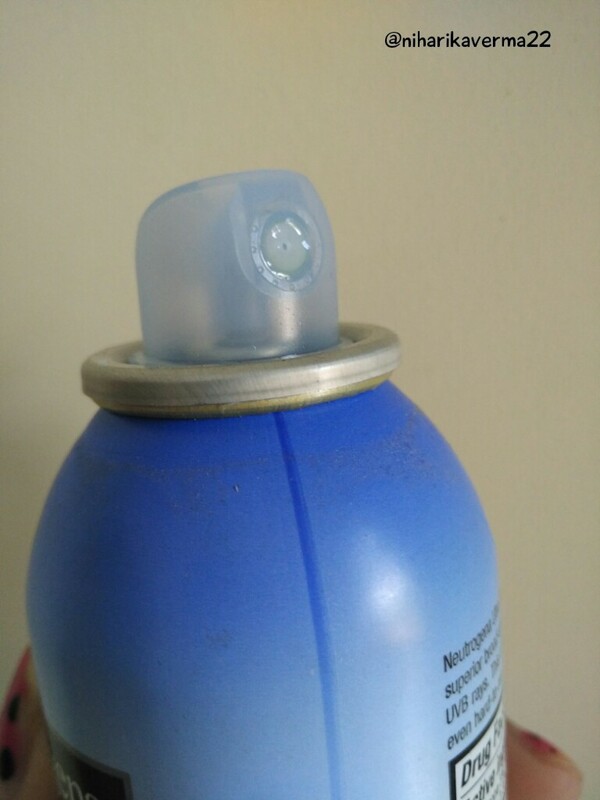 Do not spray into face. Spray into hand and apply to the face. Use in well-ventilated areas. Reapply after swimming, excessive perspiration, towel drying or extended sun exposure. only when you are going out or once a day. Product says re-apply after 80 minutes so if your day routine include sun exposure to a large extent you should re-apply it to protect your skin. So in short, this is a must have product.